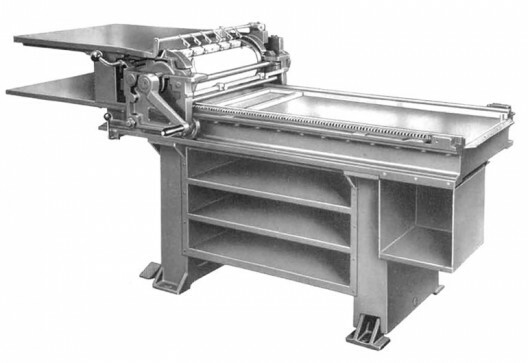 Designed for proofing newspaper pages, the hand-cranked 320G features an ink slab and form rollers behind the cylinder, which come to rest under the feed board. Optional automatic sheet delivery and ink fountain were originally available. Maximum sheet: 20 × 30″; maximum form: 19 × 24½”. There are two dozen 320G presses listed in the Vandercook census. See 325A, 325G.